Reasonable Prices – B & M Air and Heating Inc believes that every customer deserves a healthy home and work environment. In order to make it possible for all budgets, B & M Air and Heating Inc provides service for top quality air filter systems at reasonable prices. Call (323) 402-4203 to talk with a knowledgeable customer service representative about affordable air filtration that meets your budget. Satisfaction Guaranteed – All of our work is backed by an impressive satisfaction guarantee. Committed to quality on every level of HVAC for homes and businesses, B & M Air and Heating Inc maintains a solid reputation for quality service. Our staff is always available to answer questions, discuss problems in your home and provide solutions to air quality issues using various elements of air filter systems. Create a healthier atmosphere in your home and office with the help of trustworthy technicians from B & M Air and Heating Inc. Our affordable rates and customer satisfaction guarantee have helped us to become the leading HVAC contractor in the region, servicing many of your friends and neighbors. 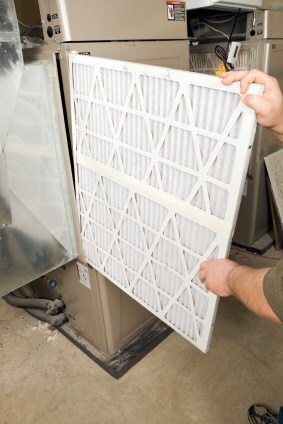 Call B & M Air and Heating Inc at (323) 402-4203 for an estimate on quality air filter systems designed to improve the air quality of your living space.